On 09.02. 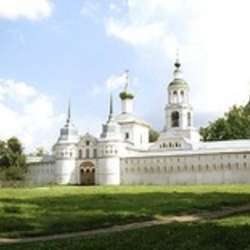 Protected content will be going to ancient beautiful town of Yaroslavl for a few days. The return dates are 10.02. Protected content 11.02.2019. Please PM for the details or just push the "attend" button when you are absolutely sure about your participation in this event. The train tickets cost around Protected content (round trip). The best train starts from Moscow at 14:45 and arrives in Yaroslavl at 18:03. This time we will be travelling by this train. From Yaroslavl the train starts at 13:53 and arrives in Moscow at 17:13. Some folks will be returning to Moscow on 10.02.2019. Remaining ones will be going back from Yaroslavl on 11.02.2019. The cheapest tickets could be booked and bought at the official site of Russian Railways: Protected content . Alternatively you can get to Yaroslavl by regular intercity bus or by blabla car service.Blabla car rides cost Protected content one way. Housing costs Protected content per night. The hotel reservation is here: Protected content . Agenda: Visiting beautiful churches, walking down the streets, walking along the Volga embankment, dining in local restaurants, sociolizing with the local folks and other travelers/international minds. If you are interested I will gladly send you a booklet on Yaroslavl's sightseeings. Please feel free to contact me for the further assistance, join Moscow Weekend Out group and do inform your friends and other contacts about this event and about the group.